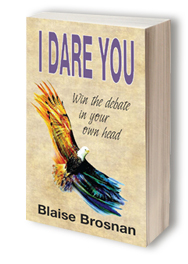 I Dare You – Win The Debate In Your Own Head is Blaise Brosnan’s 3rd Book. This powerfully written blueprint for life, entrepreneurship, achieving your goals and overcoming life’s challenges is a must read. It teaches us to soar to our highest potential, achieving our dreams along the way. 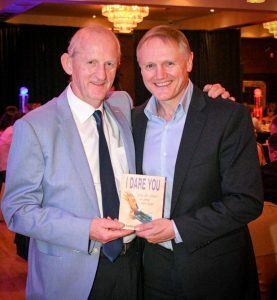 Blaise delivers hundreds of inspirational messages to help us overcome the obstacles and challenges that life throws our way and to turn those obstacles into situations that ultimately help us reach our optimum potential. These messages are drawn from Blaise’s own business and personal journey, from powerful influencers he has met along his path and from some of the world’s greatest philosophers. This compilation of motivation, inspiration and practical advice truly is the gift that everyone ought to treat themselves to!